Attend Flat Rate Pricing Seminars throughout the year! The New Flat Rate, a leading provider of menu pricing for residential home service companies, is bringing its smart pricing seminar. 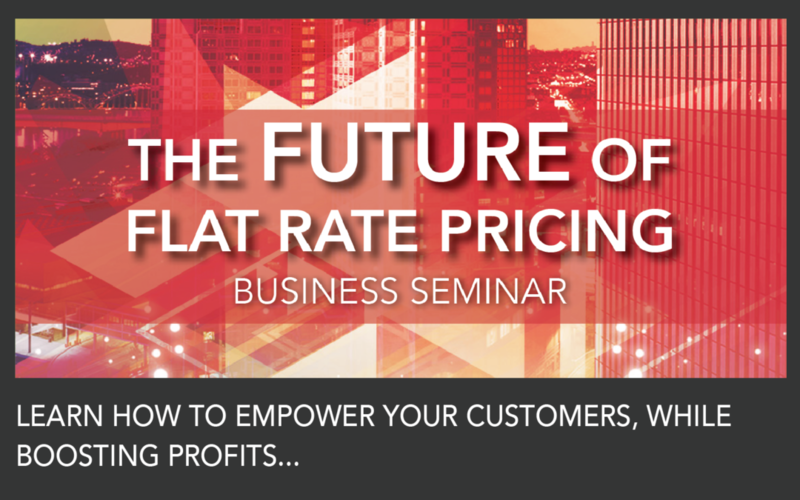 The Future of Flat Rate, to the Dallas-Fort Worth Metroplex on Sept. 18. The free, full-day event will take place at the Hilton Garden Inn DFW South in Irving. Home services business owners can learn how to take their businesses to the next level! How? By accurately calculating their billable hour and implementing strategies to improve profits. “A lot of home services companies focus on selling to their customers instead of presenting options. As a result, this is problematic for technicians and for the bottom line,” said Rodney Koop, founder and CEO of The New Flat Rate. “This seminar will teach attendees how to use menu pricing to empower their customers, while boosting profits.” The third of four Future of Flat Rate seminars this year, the conference has previously made stops in Atlanta and Minneapolis. How to increase the average sales ticket and decrease callbacks. Ways to find, train and keep quality service technicians. An in-depth look at the billable hour and how to make sure your pricing structure is accurate. How showing a menu of options to customers lowers customer resistance and improves opportunities for upselling. Ways to help contractors and techs be successful without forcing them to become a typical salesperson. The Future of Flat Rate Pricing seminars are free of charge and include lunch, snacks and a post-event reception that incorporates a question and answer session with event speakers. Therefore, attendees will hear from industry experts like TNFR founder and CEO Rodney Koop and TNFR process development and advanced sales trainer, Leo Morales. 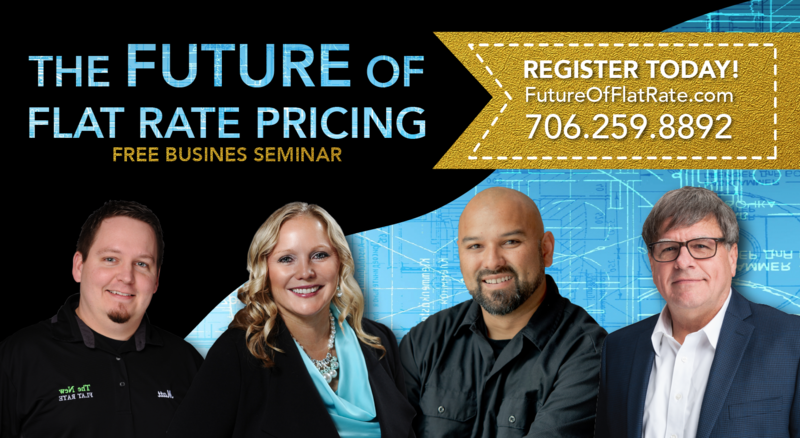 To register for The Future of Flat Rate Pricing seminars, call 706-259-8892 or visit http://www.futureofflatrate.com. The New Flat Rate, Inc. pioneered the first menu pricing system for in-home service providers. Consequently, this has doubled and tripled the average service ticket for contractors across the United States and Canada. Targeting HVAC, Plumbing, and Electrical Service and Repair contractors, each market-specific edition is designed to do the bundling and upselling for technicians. How? By providing hundreds of service, repair and equipment replacement “menus”, each with up to five straightforward options consumers can choose. Voted No. 1 for two years in a row by Contracting Business, The New Flat Rate develops processes to eliminate objections and lower sales resistance for service technicians. For more information, visit http://thenewflatrate.com/ or call 706-259-8892.